I’ve been a little quiet on this whole Toyota thing and I’ll tell you all why. 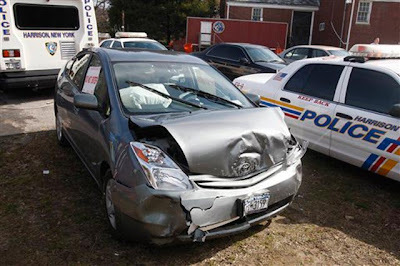 I kinda just bought a Prius last week and have had my fingers crossed that nothing would go wrong. I know what you’re thinking- how could I buy this car- you’re right but you HAVE to see the mileage I’m getting- 51 freeway and SEVENTY out-of-control-accelerating. Try to beat that- you can’t! Toyota: Moving forward. Yeah, like I had a choice.